Kyra is the CEO-founder of engagedIN. She has also founded several healthcare start-ups, spanning behavior health, population health, and mobile health. 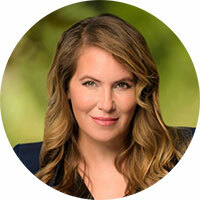 She has designed behavior change programs, big data algorithms, billion dollar products, mobile health apps, and evidence-based studies in mind-body and metabolic medicine. Dr. Bobinet teaches at Stanford School of Medicine on patient engagement and empowerment, and health design with Dr. Larry Chu, founder of MedicineX. She has studied in Dr. BJ Fogg’s Persuasive Tech Lab at Stanford, whom she credits as the founder of “behavior design”.Dr. Bobinet received her Masters in Public Health at Harvard University. She received her medical degree from the UCSF School of Medicine.